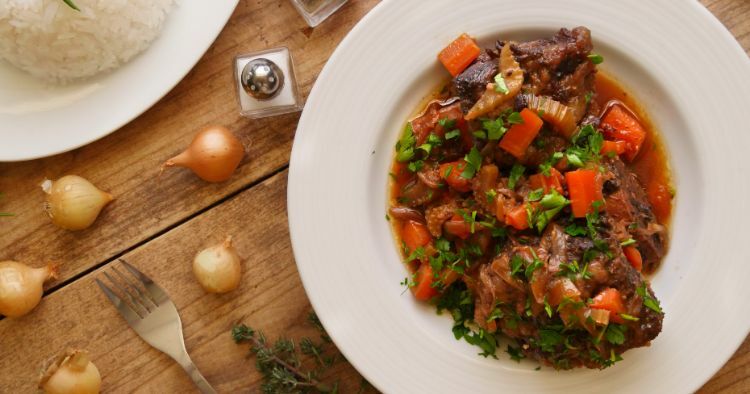 The cold winter months are the coziest time for cooking and eating hearty, slow-braised meat dishes. An Instant Pot or other electric pressure cooker allows you to enjoy this intensely satisfying type of meal without spending all day in the kitchen. The recipe below uses the Instant Pot to braise meaty short ribs in a rich, red wine-based sauce. The result is deliciously tender meat and a saucy gravy you’ll want to eat up with a spoon. Serve this stew with creamy mashed potatoes or polenta — either choice will soak up the luxurious sauce. Crusty bread also works as a sauce-sopper. This has become my go-to dinner for company when I want to serve something impressive but don’t have all day to cook. Generously season the short ribs with salt and pepper. Brown them in the Instant Pot (you'll have to cook in 2 or 3 batches) for about 4 minutes per batch. Remove the browned ribs to a plate. Add the onions to the pot and cook, stirring frequently, until softened, about 5 minutes. Add the garlic and cook, stirring, for 30 seconds more. Add the carrots, celery and bay leaves and cook, stirring, for 2 more minutes. Add the wine and cook, stirring and scraping up any browned bits from the bottom of the pot, until the liquid is reduced by half, about 5 minutes. Add the broth, vinegar, sugar and soy sauce. Return the browned ribs to the pot along with any accumulated juices. Turn the Instant Pot off. Close the lid and turn the valve to the sealing position. Select high pressure, and set the timer for 45 minutes. 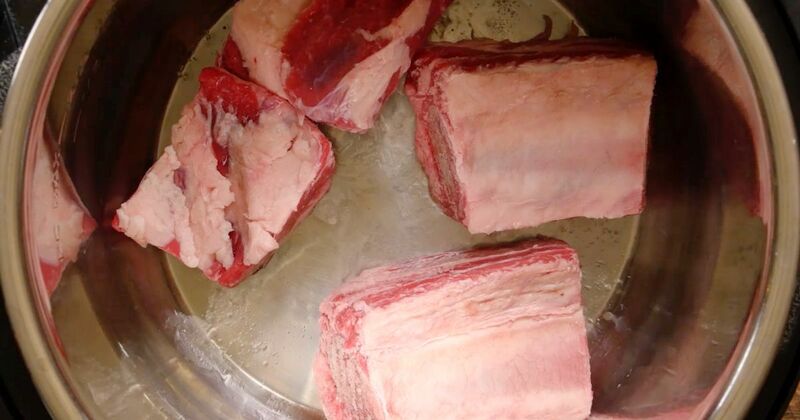 Remove the short ribs from the pot and turn on the sauté function. When the liquid is at a boil, add the cornstarch-and-water-mixture. Cook, stirring, until the sauce thickens, 3 to 5 minutes. Return the short ribs to the pot and submerge them in the sauce. Serve hot.